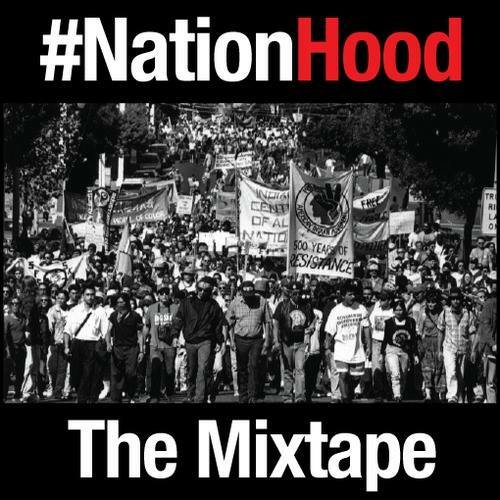 “Combining the voices of many struggles, peoples and nations, the #NationHood Mixtape brings together an amazing array of hip-hop, spoken word, beats, ideas and sounds from artists across the world. This is music for the movement: songs to inspire the liberation of oppressed peoples globally, and to bring Indigenous and non-Indigenous artists together in rhythmic force. For this mix, I wanted to showcase a diversity of styles that illustrate our commonalities in struggle, our shared experiences, and the many ways in which our words—in whatever language we sing and speak them—locate us in common purpose, resistance, and action to transform the world. If you follow Bonus Cut on a regular basis, then you know why I’m posting this. Please, give this mixtape a listen and spread the love.